Well-rounded and wall-worthy, the Gubi Adnet Circulaire Wall Mirror has a simple and impeccable design that gives off an undeniable charm. The circular frame is surrounded with leather binding while brass hinges keep the leather attached. 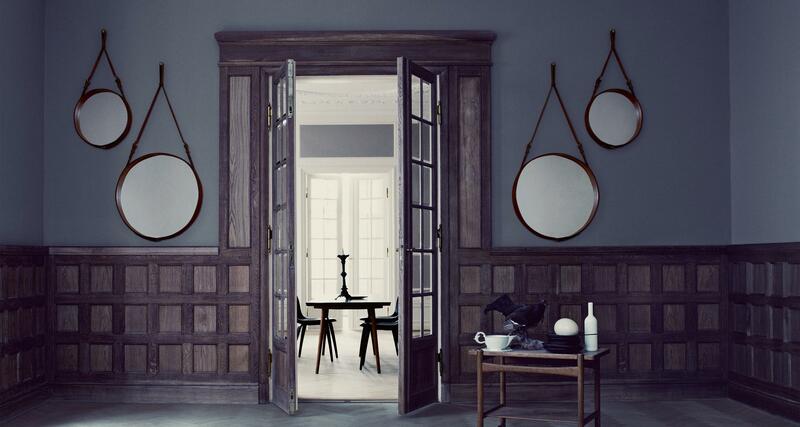 A simple leather strap allows the mirror to hang from the wall with power and subtlety. Available in three sizes with a choice of black, olive, or tan leather with burnished brass buckles.